This might very well be the most important panel during this years Winterclash. During the past couple of years several new schools and camps got started and formed and our community took a long overdue step forward. Skate-Schools are playing a heavy role when it comes to shaping the future of our sport. Not only is it the best possible way to reach out and connect with young kids, it is also an opportunity for everyone who wants to earn money doing what they love. Skate-Schools are a win-win on all ends and we want to get into the details. What does it take to become a teacher, how to reach new students, what rules apply in different countries, how expensive is it to start one and is it possible to make a living of it? And what about the social and educational aspects of it all? 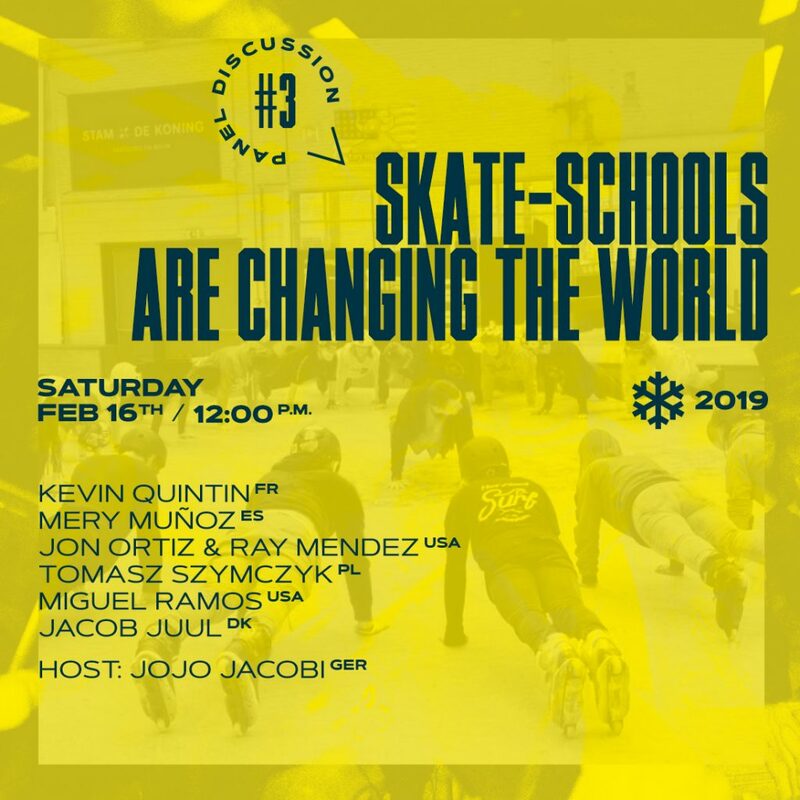 We invited seven incredible guests to introduce you to their different concepts and to talk about the difficulties and benefits of running a skate-school. Join us, meet them afterwards for questions, learn about it all and get inspired to start one yourself. Date: Saturday, February 16th, 12:00 p.m. – 13:30 p.m.